This weekend I had an experience I would like to share, it really got me thinking and I trust you can see it too. “We need sugar! Or water! Or possibly a flower!” These were the first things running through my head when quite unexpectedly I found a bee on my beach walk this Saturday. 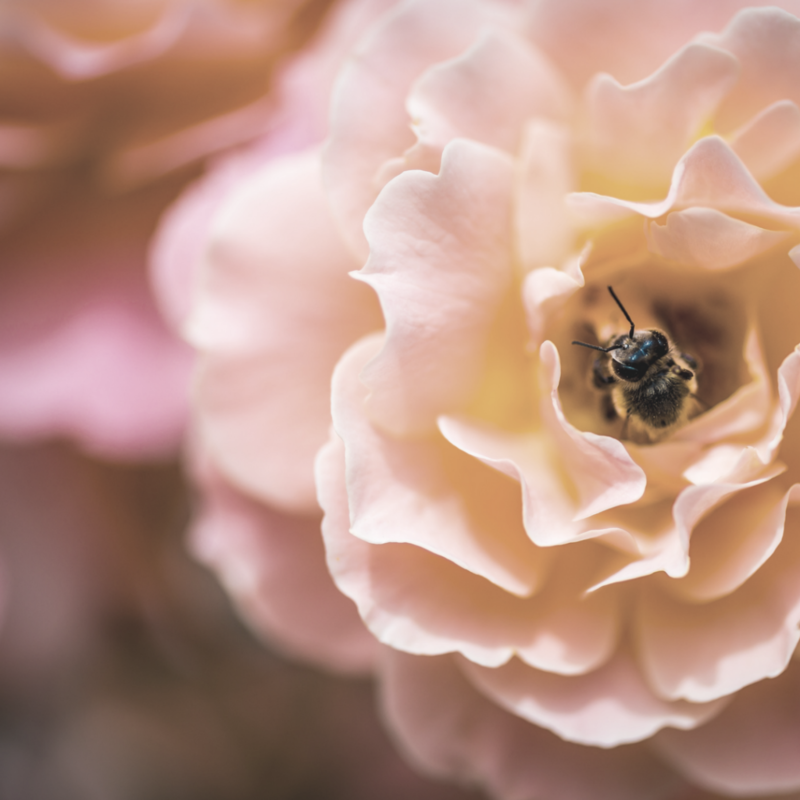 Actually, I wasn’t too sure exactly what this tiny, clearly exhausted and very determined honey bee needed, but one thing for sure was, she was far away from her ideal environment. We kicked into ambulance mode, raced back home. Now, whoever said bees need sugar-water lied. She didn’t want a bar of it. However, you should have seen her when I plopped her into the pollen rich big yellow flower growing (slightly unkempt) in my flower garden, I think I saw my first bee happy dance! Of course this little experience got me thinking. I looked at my garden and all the wildly growing flowers and thought how a bee on a sandy beach is exactly like a woman without a women’s circle. No matter how determined she is, no matter how exhausted she is, she was not ever going to find her honey. Or more correctly the pollen, the raw unprocessed life-force, the grist of sweetness that will make her life rich, juicy and full of joy. Women are like honey bees. We actually don’t need the sweetness of life ready-made, well some of us do, but most cope just fine living with the ups and downs of the garden of life. But take us away from our inner garden, too much stress, too much processed doing, too much artificial everything and no contact with the beauty of intimacy, connection of soul and validation of capacity and we wither. Like a bee on a beach. Women’s circles take us back to our inner garden. A circle held well, means every woman receives. Everyone is witness to the beauty of each other. Every woman can be nurtured, pollinated by the nectar of each woman’s sharing, wisdom and truth. Bee medicine is about creativity, fertility, abundance and a miraculous life. Is this Spiring your time to create wonder and start your own women’s circle? Is it your time to powerfully bring your soul work to life? Or is it time to take your circle work deeper?